Wizards of Oz: [Moblog] 26" Northern! 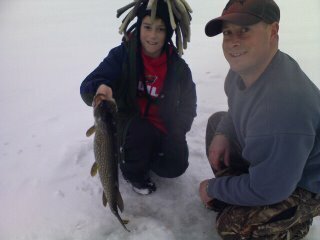 Man-Cub's first fish: a 26" Northern Pike. It completely spooled the tip-up while we were tending another hole. "Where no one has gone before..."